Why would someone want to create or own the mounted skin of a dead animal? That's the question Dave Madden explores in The Authentic Animal. Madden starts his journey with the life story of Carl Akeley, the father of modern taxidermy. Akeley started small by stuffing a canary, but by the end of his life he had created the astonishing Akeley Hall of African Mammals at The American Museum of Natural History. What Akeley strove for and what fascinates Madden is the attempt by the taxidermist to replicate the authentic animal, looking as though it's still alive. 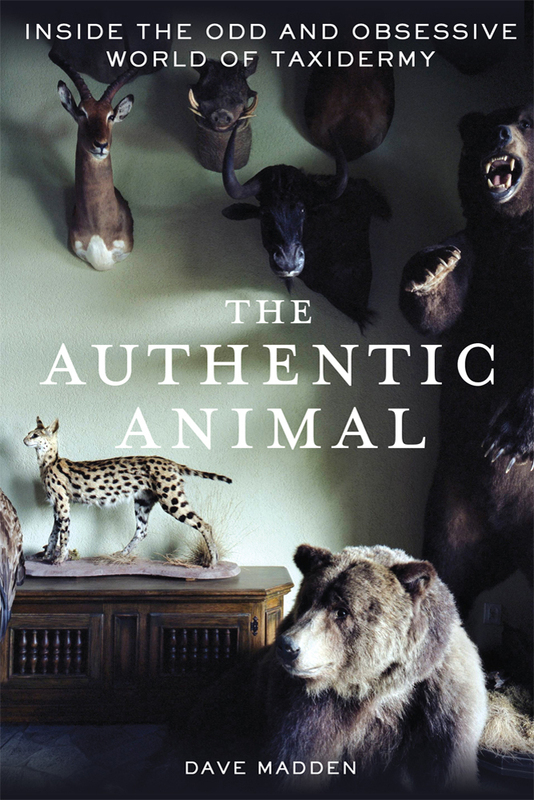 To get a first-hand glimpse at this world, Madden travels to the World Taxidermy Championships, the garage workplaces of people who mount freeze-dried pets for bereaved owners, and the classrooms of a taxidermy academy where students stretch deer pelts over foam bases. On his travels, he looks at the many forms taxidermy takes—hunting trophies, museum dioramas, roadside novelties, pet memorials—and considers what taxidermy has to tell us about human-animal relationships. The Authentic Animal is an entertaining and thought-provoking blend of history, biology, and philosophy that will make readers think twice the next time they scoff at a moose head hung lovingly on a wall. DAVE MADDEN is a professor at The University of Alabama. He lives in Tuscaloosa and co-edits The Cupboard, a quarterly pamphlet. The Authentic Animal is his first book.